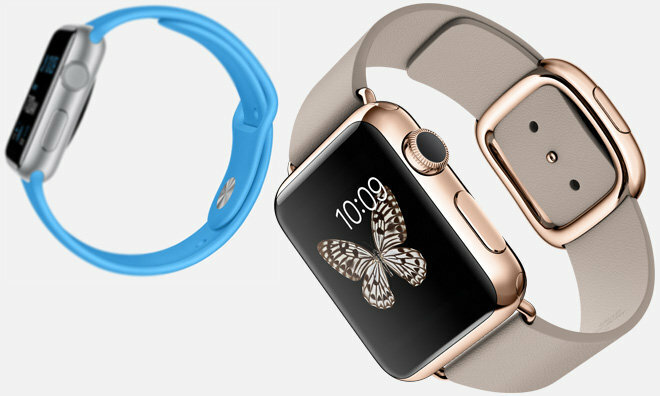 Prior to shipping out in April, the Apple Watch was one of the most hotly-anticipated new products in Apple's history. 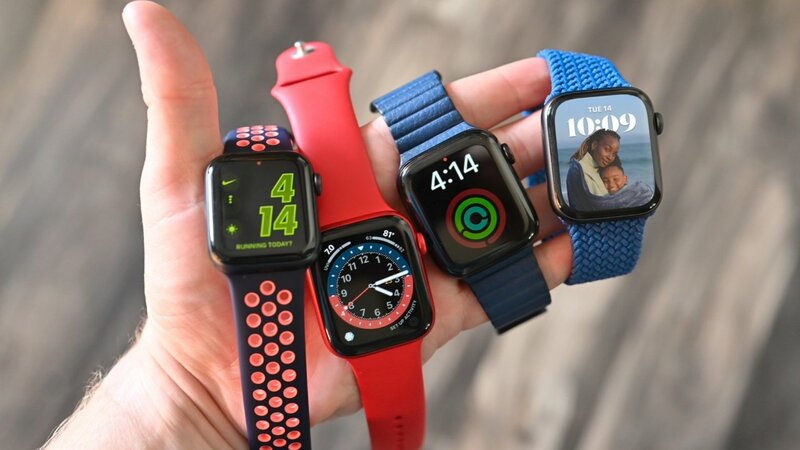 The company hopes its combination of activity tracking technology, information "glances," and numerous styling options will help convince consumers that the time is right to wear a computer on their wrist. After months of rumor and speculation, Apple took the wraps off its Apple Watch wearable accessory just after unveiling the iPhone 6 and 6 Plus last September. Industry scuttlebutt was spot on when it pegged Apple to introduce two sizes for Watch, a 38mm case for smaller wrists and a larger 42mm size. 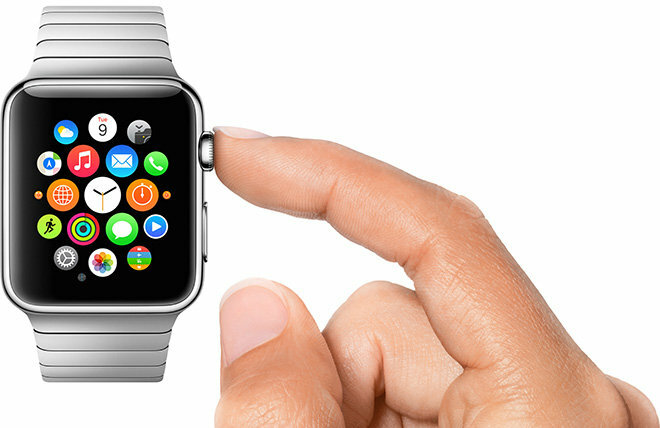 Because of its larger flexible OLED display, the 42mm model comes at a $50 premium over its smaller sibling. 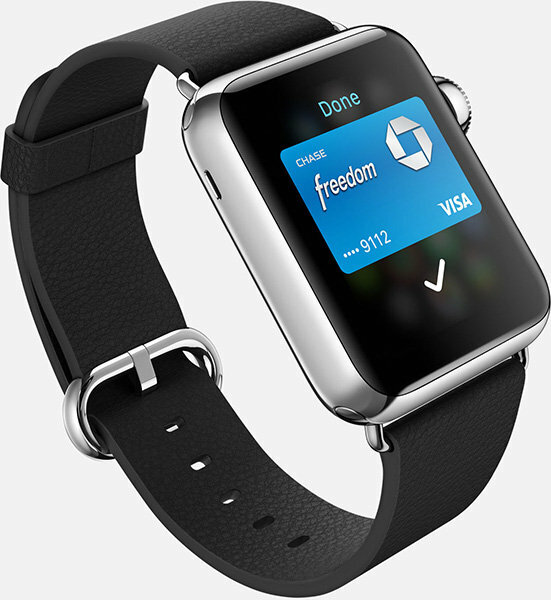 While it can operate independently to tell time, make purchases at NFC-enabled Apple Pay terminals and playback media content stored onboard, Watch relies on a Bluetooth connection with iPhone for communications duties. 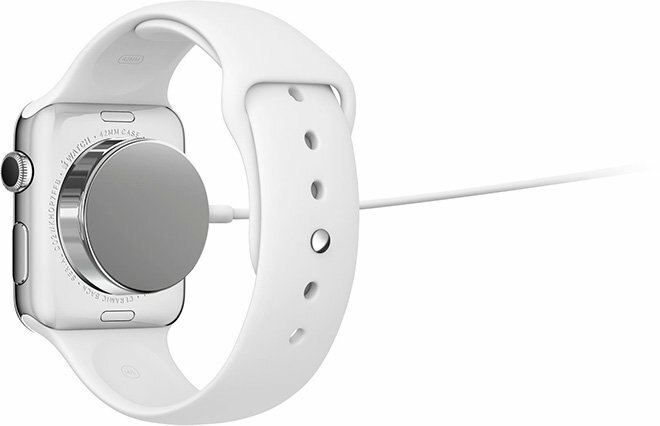 For example, users can answer phone calls directly on Apple Watch using the device's built-in speaker and microphone, but a tethered iPhone does the heavy lifting, transmitting incoming and outgoing cellular data through its baseband chip. The same goes for messaging and Apple's completely new set of "Digital Touch" gesture-based communications that let users send quick finger sketches and haptic taps. 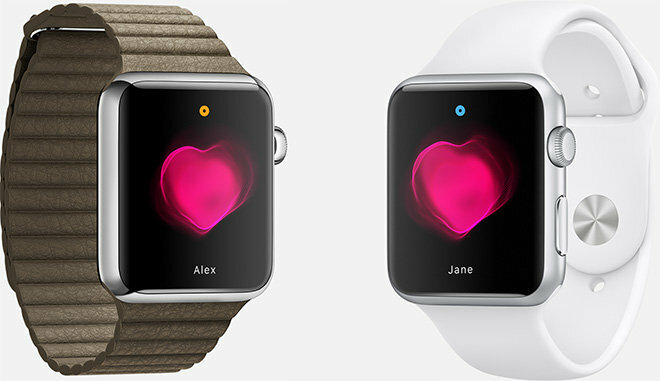 Watch owners can even exchange heartbeats with data taken from the custom heart rate sensor. 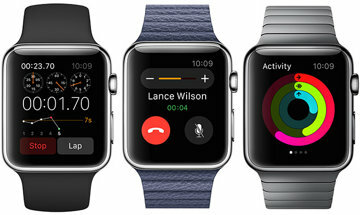 As part of Watch's new gesture interface, Apple introduced pressure-sensitive Force Touch technology that gathers data from sensors installed around the periphery of Watch's screen to measure the amount of force being exerted by a user's finger. 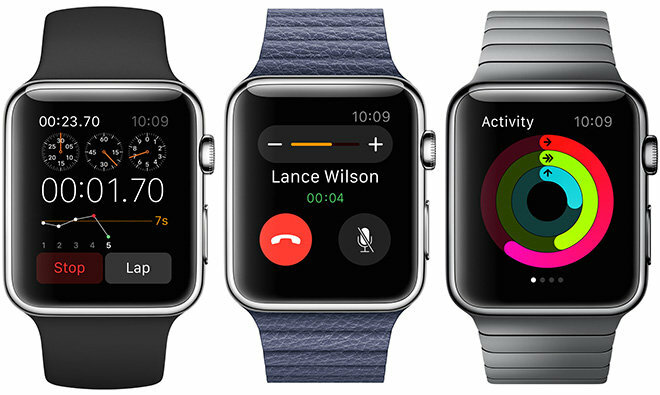 With timekeeping, fitness and communications functions, Apple Watch follows the smartwatch industry's general trajectory, but augments existing technology with a beautiful user interface and attention to detail. In 2013, it was revealed that Apple had specifically applied for ownership of the product name "iWatch." 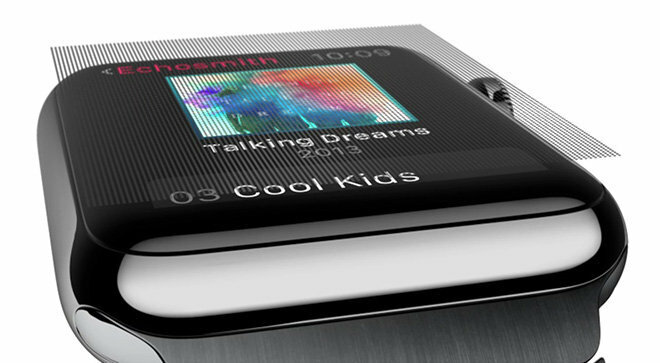 It's possible that Apple has been acquiring the rights to the name iWatch around the world under its own name as well as through dummy corporations such as "Brightflash." 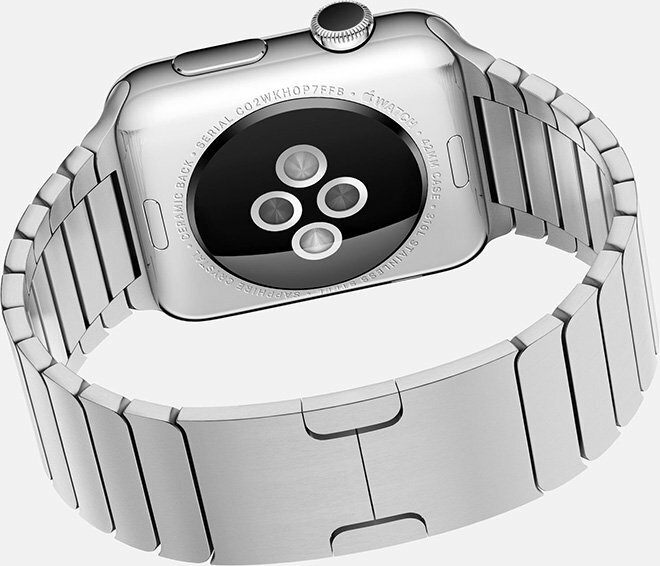 The company has even updated its trademark for the name Apple itself, expanding the company's product categories to "Class 14 (Jewelry)." 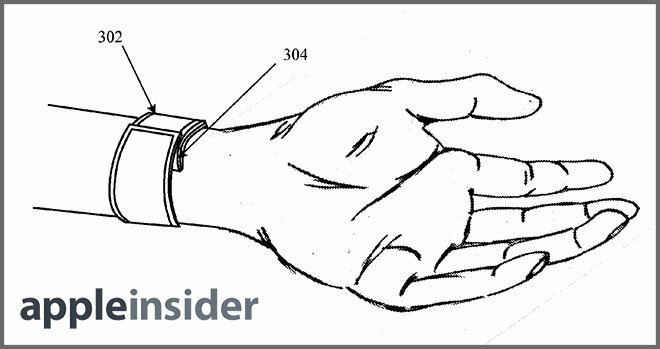 Apple has even gone as far as to file patent applications for inventions that describe a wrist-worn device with a flexible touchscreen display. Apple's filings describe a device that would conform to a user's body through the use of a "slap bracelet" mechanism. 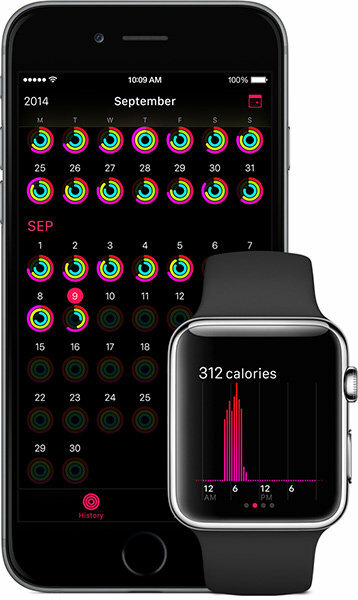 Finally, Apple hired a number of personnel from the industries of fashion, fitness and medicine, all features of the upcoming wearable.